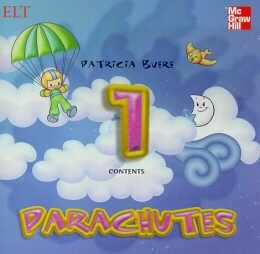 Parachutes is a four-level, five-skill series for preschool children that adds thinking as a fifth language skill. Special attention is paid to pre-reading and pre-writing skills. Parachutes is based on the integrated language approach, and includes a graduated phonics program to ensure that students learn English in the same way they learned their mother language.